P. SAR indicator (0.1, 0.11) is set on the MACD graph. It is necessary to have Parabolic_SW.mq4 for adding P. SAR in the MACD graph. Metatrader 4 template will make it easier to install Forex Indicators for this strategy. 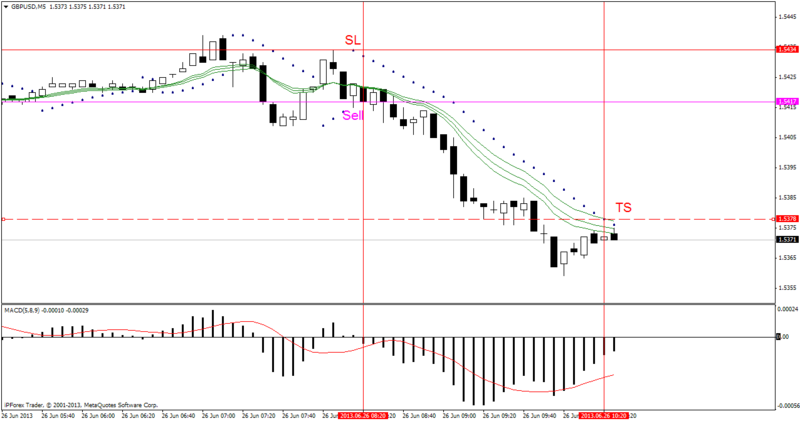 This strategy of Forex Trading should be used during the most active ours in New York and London. The Forex strategy should not be traded before important news.